→ Making sense of the SQF code: so what the heck is a “register”? SQF has a lot of special definitions and language that can cause confusion for companies working to get newly certified. There are several mentions of “registers”, but the word register isn’t ever defined in the SQF glossary. The short answer is that a register is simply a list of all materials supporting that section of the code. But again, SQF leaves it up to us to decide what that list looks like, and each list has different needs. In this post, I’ll cover several ways to make these registers and the pros and cons of each. 2.2.2.2 A register of current SQF System documents and amendments to documents shall be maintained. 2.3.2.7 A register of raw and packaging material specifications and labels shall be maintained and kept current. 2.3.3.2 A register of all contract service specifications shall be maintained. 2.3.5.2 A register of finished product specifications shall be maintained. 2.4.4.10 A register of approved supplier and records of inspections and audits of approved suppliers shall be maintained. 2.9.7.1 A training skills register describing who has been trained in relevant skills shall be maintained. 11.7.5.3 All glass objects or similar material in food handling/contact zones shall be listed in a glass register including details of their location. The fundamental characteristics of your register is that they need to list all the applicable required items and normally have some sort of revision tracking. Key here though, is that these registers are only going to be visible to an auditor once per year. That means that while you could create a register that is easy to show off during an audit, and have some useless item the other 11 months, or you can create something you find useful day-to-day in your quality management system. Let’s go though some ways that registers can be created, and how they work well in some situations more than others. 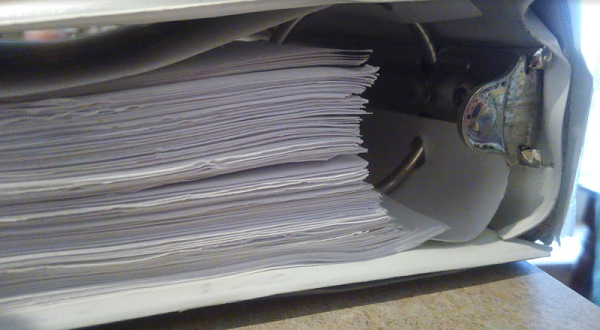 “The Binder” aka “the files”, “the file cabinet”, “the folder”, and “the SQF book”. In many facilities, food safety manuals are a literal manual, all the documents and their previous revisions are stored in one or several 3-ring binders. A simple table of contents at the beginning of the binder lists out all the documents, and previous revisions of documents are right there to show the “amendments”. The binder method can be very effective when first working towards certification. Everything is in one place for the SQF practitioner, revision control is tight, and the register is self-referencing. Want to see all my system documents (SOP’s)? Here’s the binder. Want to see all my approved label proofs? Here’s the binder. Want to see all my contract service agreements? Here’s the binder. While this isn’t the case at every company, it’s been my experience that the “SQF Binder” isn’t a functional document referenced by staff, but instead is dropped ceremoniously in front of an auditor for 2-3 days each year before being shelved and forgotten until the next audit period. It is certainly one way to create a “register”, however. Provided your policies are actually followed, even if they aren’t read, the binder is a helpful way to keep the new policy documentation in control and organized for small companies or those new to SQF. The binder does end up being particularly cumbersome for certain registers. • Any register that includes a ton of information becomes difficult unless the binder turns into a file cabinet. For example, if your finished good specifications include 300 different combinations of ice cream flavors and copacker labels, a little 3-ring just isn’t going to do it and soon you find yourself wheeling file cabinets into the office on audit day…that the auditor then goes hunting in. • Training registers will span years and many employees, and that much information in paper form becomes impossible to reference without a more robust filing system, a binder divider for every employee is quickly outgrown and trying to organize training refreshers based on paper alone can be an exhausting circular exercise. • Master copies of forms tend to degrade over time as they’re removed for use. • Approved suppliers may provide a lot of different documents in various formats, making it hard to keep the paperwork consistent. We do officially live in the future, and paper-based indexing systems are a thing of the past. For companies taking the first steps into making their controlled documents digital, often they’re limited to saving the originals in an organized way, or by keeping the “binder” but scanning everything so that a copy is available to everyone. Modern operating systems all have a similar “file folder” file management system, and provided you use detailed, universal descriptions of your files, and stick to them, these files can themselves act as “registers”. 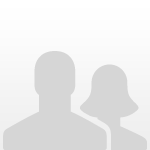 In the picture above, I created an example folder in which I might maintain my “approved supplier register”. Each folder is named after an approved supplier, and inside that folder I can save all the applicable documentation to support that approval. Not only can you open this folder in front of an auditor and display your “register”, it’s now digitally searchable, and a simple permissions system (or someone setting the folder as “read-only” unless they’re editing) will keep the documents controlled. Heck, a scanned document can’t be (easily) edited digitally anyway, so it’s already controlled! • It does depend on rigorous control and adherence to file and folder naming conventions. Nothing worse that having duplicates start appearing because someone named a supplier after the business name vs the DBA, or a training file under someone’s nickname vs. their legal name. Then you can’t find them during the audit. • While somewhat intuitive, you may have so many different registers and places where things are stored that it’s hard for non SQF-practitioners at your company to find what they need since they don’t interact with it regularly. • Showing revisions or amendments can get messy, either they’re self-contained within the documents (not a bad plan, but hard to access), or you have a whole mess of deeper files containing archived older versions. • Editable documents may be hard to control without IT support, and scanned documents are cumbersome to edit and rescan all the time. Used in tandem with the digital filing system on the operating system, a written index using simple tools like the Microsoft office suite can provide more user-friendly indexing with better, searchable information at-a-glance. These types of “registers” are excellent at meeting additional requirements indicated in the sections of code above. They can allow you to easily show revision dates (amendments), relationships, overview of complex files like entire supplier folders, categorical sorting (such as which allergens apply to which countries, or even obsolescence without a giant pile of miscellaneous “archive” files. In basic formats, these registers can act as tables of contents for either paper or digital files. In the hands of power users, they can be dynamic tools to reduce time dedicated to document control, generate forms, or even create trends and charts to meet other SQF requirements. Sorting tools allow you to really take advantage of larger datasets like your training files (show me everyone who is due in the next two months, *ding!*). • It does require users to adhere to file naming conventions and update rules same for file registers, especially in advanced indexes which may link to files or provide other advanced options. • It’s one more thing to update! Now not only are you actually working through those SOP/Label/Supplier/Form/Training changes, but you need to update the register as well. Even more cumbersome if you still have paper, then scanning, then the index update. • Indexes break or files get corrupted. It’s the risk of going digital in anything. As with all important work tasks you perform on the computer, planning ahead for data loss is critical. 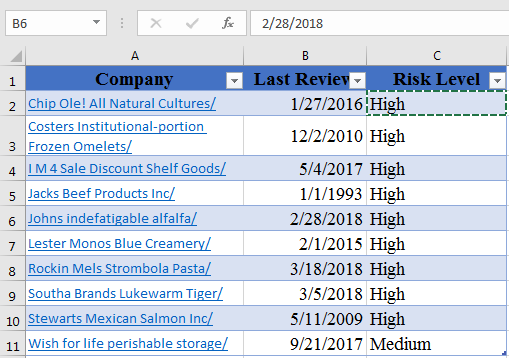 If you haven’t been to a food quality conference lately, you’ve missed out on the dozens of vendors looking to solve all your quality management “registers” with databasing/tracking/control software. Many of them are quite good, but it’s important to remember that they’re like high-priced bicycles. They may be able to do anything, but they’ll only go as fast as you can pedal. If you have trouble getting your documents under control, it’s likely not because scanning is so cumbersome, but that you don’t have the infrastructure or management commitment necessary to maintain the files. These systems are excellent for sharing controlled registers company-wide with tight control over current revisions, editing access, and the advanced sorting functions we discussed earlier. In addition, users can exercise permissions control within the software itself, relieving your company’s IT/IS personnel from having to figure out how to lock up your SOP’s for only certain people. Software solutions are also favored by auditors as evidence of management commitment (in employee resources and evidence of spending on quality), and as proof that, if you have a purchased system, there must be a great deal of organization within your quality management system by the software alone vs. the binder. • While many systems tout their user-friendly interfaces, the fact remains that only those comfortable working in software frequently will be able to access anything quickly or without error, no different than introducing a new website (have a Facebook user try to navigate google plus without any practice). • While systems can be modified with individual companies needs, they can also include a lot of software-specific jargon for types of files, which may not mesh with your company’s internal lingo and cause confusion. • As with all digital systems, what is your plan when the power goes out or the cloud update isn’t working? • Pricing for these systems can be affordable, but far from free. Really determine if you have a specific advantage offered by a system that someone paid to carefully curate a file system couldn’t also provide. So, what the heck is a register? • How many [SOP’s, suppliers, glass objects, allergens] do I have? • Where is the supporting information for the above? These lists can be in any format you like, but ensure that they are designed to support your quality system and continuous improvement, not to “pass the audit”. 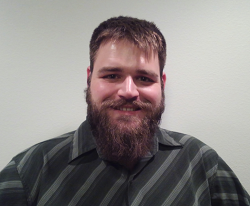 Austin Bouck is a quality assurance manager at a regional beverage company in Oregon, USA. When not at work solving technical quality challenges, he continues to ponder food safety issues on his blog, Fur, Farm, and Fork, which helps him stay sharp and share his knowledge with other professionals and the public.